House defense authorizers are pressing ahead with efforts to weed out fraud, waste and performance debacles that have plagued private security contractors in Iraq and Afghanistan. Lawmakers on the House Armed Services Committee are expected to approve several provisions in the 2011 defense authorization bill that would establish standards for how private security contractors would win Pentagon business. Private security contractors have lobbied for the changes, arguing that higher standards and more oversight would ensure that contracts go to legitimate companies. The Armed Services Readiness subcommittee already vetted the provisions under consideration. House lawmakers are trying to establish a third-party certification process to determine whether private security contractors should be eligible for Pentagon contracts. Defense authorizers are requiring the Defense secretary to establish a third-party certification process for “specified operational and business practice standards to which private security contractors must adhere” as a condition of being selected as contractors. It has not yet been determined whom the “third party” issuing the certifications would be, but the provisions aim to establish a baseline for acceptable contractor performance, industry officials said. Private security contractors have tried to convince lawmakers to support contracts that offer the best value rather than just the lowest price. As a result, defense authorizers are seeking to establish a pilot program within the Pentagon that would implement best-value standards for private security contracts in Iraq and Afghanistan. The contracts awarded under the pilot program would continue until they are supposed to expire even if the pilot program is terminated, according to language in the defense authorization bill awaiting a full committee vote. The Defense secretary has to provide to the committee each Jan. 15 for three years a report identifying the contracts awarded under the pilot program, including the consideration that led to the award of the contract. “The best-value language would avoid the race to the bottom,” said Jeff Green, who lobbies for IPOA. Avoiding contracts that are awarded solely on the lowest-cost criterion would go to the heart of the private security industry’s efforts to preserve good standing. Lowest bidders often trim “some of the ethical aspects of their operations to save money,” said IPOA’s Brooks. Companies could cut their training standards or the vetting of their own employees to keep costs low, explained Brooks. Military contractors are a fact of life in Iraq – doing everything from protecting diplomats and those involved in the reconstruction process to delivering supplies. In September of 2008, there were some 160,000 of them working for the Department of Defense alone, today that number is closer to 100.000. Just over 50,000 are Iraqi nationals – but nearly 28,000 are U.S. citizens. And their service comes at a high price. I’m not talking about the monetary cost of contracting out, (on which there has been a protracted debate over whether hiring them is more cost efficient than having troops do the same work.) I’m talking about the price that’s paid in blood. The Special Inpector General for Iraq Reconstruction (SIGIR) notes that 25 contractor deaths were reported in the first quarter of 2010, bringing the total number of contractors killed since the Department of Labor began keeping figures in March of 2003, to 1,471. Compare that to a total of 3,899 U.S. military deaths since the start of the war and you begin to better understand the significant price contractors are paying. In fact, according to SIGIR, In January of 2009, contractor deaths actually exceeded those of U.S. troops for the first time. Those familiar with the debate like to argue that the U.S. has always relied on contractors, and they would be right, but the U.S. has never relied on hired help in conflict zones to the extent that is does today. SIGIR estimated contractor contributions to prior U.S. conflicts and found that the U.S. utilized the services of one contractor per 24 members of the military during World War I; to 1 to 7 in World War II; 1 to 5 in Vietnam, to a projected estimate of 1 contractor to every 0.7 members of the military in Iraq by this August. In other words, more contractors than military personnel. And that estimate is CONSERVATIVE. 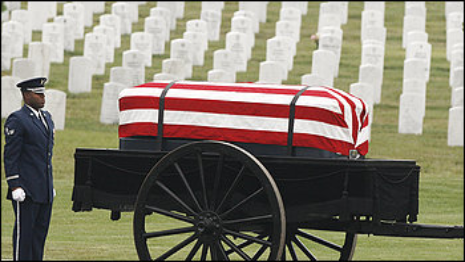 It doesn’t take into account contractors working on something called LOGCAP which is a fancy military acronym for logistics contracts – which include delivering food to bases – under which some 190,000 additional contractors are hard at work, and sometimes dying when doing the job. We may have spoken too soon when we praised the Army for taking past contractor performance into consideration for the LOGCAP program. POGO was recently informed that the Army is considering awarding KBR additional work in Iraq under the LOGCAP III contract. That action would continue KBR’s monopoly on LOGCAP work in Iraq, rather using the competitive procurement procedures created under LOGCAP IV. In a letter sent today to Army Secretary John McHugh, POGO urged the Army to end KBR’s monopoly in Iraq and reconsider the continued use of the LOGCAP III program. To better evaluate goods and services, and to get the best value for taxpayers, the government must encourage genuine competition. The spotlight on KBR’s work in Iraq was also reviewed today as company representatives testified before the Commission on Wartime Contracting at a hearing on the “Rightsizing and managing contractors during the Iraq drawdown.” The military is going to have to handle many issues, including troop withdrawals and determining adequate levels of contractor support needed for ongoing activities. Additionally, the government must resolve logistical problems with the goods that have brought into the country to support military and reconstruction effort – sometimes with a lack of planning and management. A congressional committee on Monday questioned one of the Pentagon’s biggest defense companies and military leaders about how they plan to reduce the nearly 100,000 contractor employees in Iraq, as the U.S. draws down its military forces there. “Taxpayers need assurance that contractors don’t have unnecessary staff hanging around — accidentally or by design — without work, but still drawing pay,” the Commission on Wartime Contracting in Iraq and Afghanistan said in its prepared statement. The Pentagon expects the number of contractor employees in Iraq — mostly foreign nationals and Iraqis — to have declined from 149,000 in January 2009 to no more than 75,000 by August 2010. KBR, of Houston, has the largest service contract for $38 billion to provide a range of logistic services including equipment eminence, feeding troops and other work. A recent Pentagon inspector general report found that KBR contractors were billing the government for 12 hours in doing truck maintenance, but in reality were working an average of 1.3 hours — a waste of $21 million. The report also found that KBR could save $193 million if it drew down its workforce faster, according to an audit by the Defense Contract Audit Agency. KBR defended its practices in written responses to the auditors, saying that under the contract, it is up to the U.S. military to decide what work it wants done and set the staffing needs. It also said that it has put in place more cost-efficient methods for doing its work. “The government is not giving contractors adequate guidance on events, dates, and requirements for them to trim or redeploy workforces appropriately,” the commissioners said in the prepared statement. Moving personnel and equipment out of Iraq is a massive job, Army officials said. There are, he noted, more than 341 facilities; 263,000 soldiers, Defense Department civilians and contractor employees; 83,000 containers; 42,000 vehicles; 3 million equipment items; and roughly $54 billion in assets that will ultimately be removed from Iraq. WASHINGTON — The independent Commission on Wartime Contracting wants to know whether American contractors in Iraq are adequately reducing the number of employees in the country as U.S. troops are withdrawn. The commissioners take up the matter at a Capitol Hill hearing on Monday. At issue is whether the government is ensuring that contractors don’t have idle workers. Each contracted employee can cost thousands of dollars a month, and some 100,000 contracted employees are working in Iraq. The number of U.S. troops in Iraq is scheduled to fall to 50,000 in August; all are to leave by the end of 2011. KBR Inc., the Army’s primary support contractor in Iraq, was warned last fall by Pentagon auditors to cut its numbers or face nearly $200 million in penalties. Computerworld – The U.S. Department of Defense has seen repeated instances of paying for critical war zone supplies that were not delivered, or double billed. At fault are, in many cases, underlying business, according to a U.S. commission that investigated these problems. To fix this, the DOD has proposed a new rule allowing the government to withhold payment for goods and services starting at 10% for each deficiency that’s identified in a business system. But the proposed rule is raising alarm with some industry groups, including the largest IT industry group, TechAmerica, which says the move is unfair and excessive. The problems with double billing and missing order was raised by Commission on Wartime Contracting, a group formed by Congress in 2008 to look at the more than $800 billion that has been spent to fund operations in Afghanistan and Iraq, money which pays the salaries of 240,000 contractor employees. Orders for body armor, rifle scopes and water purification systems are just a few of the things that have been affected. 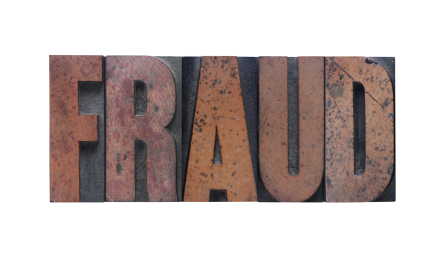 The commission reported that many internal business systems used by contractors were inadequate and without “proper incentives” some contractors may not improve them. Some of the business system deficiencies remain despite repeated audits, the commission reported last year. But the remedy, TechAmerica says, is that the withholdings could arise to 100% of a contract and “threaten the financial solvency of many contractors,” as well as reduce competition by driving some contractors out the market. This threat of arbitrary withholdings “will impose exorbitant costs on contractors to try to develop systems that are free from even the potential from being questioned about deficiencies,” wrote Trey Hodgkins, TechAmerica’s vice president of national security and procurement policy. However, absent additional checks and balances that could be achieved through ombudsmen and other governance mechanisms, Bjorklund said he believes the proposed rule does seem too severe. Bjorklund does see the motivation, though. 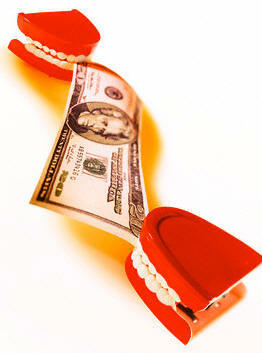 “[Ultimately] cash flow manipulation is a great motivational tool for getting a contractor to perform better,” he said. Lauren Jones, principal analyst at market research firm Input Inc., said for a smaller contractor that only works on a couple of contracts at a time, the rule may cripple them. But she said it’s an effort by the DOD to put some teeth in its contracting rules. “They know how critical it is to keep that mission going,” she said. Up is down, night is day, and now, in the best tradition of George Orwell’s 1984 newspeak KBR — the company that was the subject of a recent Department of Defense Inspect General report that found that the Army broke federal procurement rules in 2004, when two commanding generals improperly directed a contracting officer to pay millions of dollars in fees to KBR Inc., when funds should have been withheld, per the language in the contract with KBR – has been awarded its first task order under the newest version of LOGCAP. For those who don’t know, LOGCAP is the mother of all logistics support contracts. Without it the U.S. Army simply can’t function. The award also comes just a week after the Army announced that KBR would not be awarded $25 million in bonuses under the LOGCAP III Iraq support contract because KBR “failed to meet a level deserving of an award fee payment for work it did during the first four months of 2008.” Although the Army did not specifically cite it when announcing the withholding of the payment KBR’s “failed” work occurred during the time a Green Beret was electrocuted in a barracks shower in Iraq KBR was responsible for maintaining. KBR was informed of the new LOGCAP task order award, just one day after executives told shareholders about the lost award fees. The cost-plus, fixed-fee contract, announced Tuesday, is for one base year ($571 million) plus four option years, that, if exercised, could be total $2.8 billion, for work to be done in Iraq. 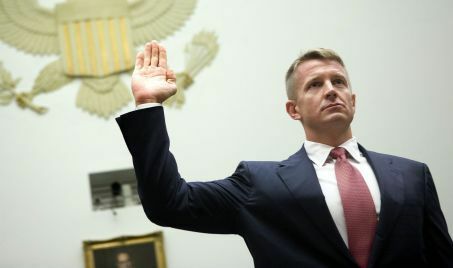 Military contractors in Afghanistan affiliated with the security company formerly known as Blackwater Worldwide regularly carried unauthorized weapons and engaged in “reckless” behavior that included the accidental shooting of a fellow contractor, a Senate investigation has found. Investigators from the Senate Armed Services Committee also found weak oversight by the U.S. Army and Raytheon Co., which had hired the contractors from Paravant LLC to train Afghan forces. Paravant was a special unit set up by Blackwater to work for Raytheon on the contract. The problems reveal a potential weak link in the Obama administration’s strategy to build up Afghan forces to secure the country, an approach that relies heavily on defense firms to conduct training missions that are difficult to oversee and often dangerous. It also reveals the risk big defense companies, such as Raytheon, Northrop Grumman Corp. and Lockheed Martin Corp., court as they consider whether to bid on what will amount to billions of dollars in future training contracts in war zones in the coming years. Xe Services LLC, which is the new name for the parent company of Blackwater Worldwide, is continuing to vie for such work. The committee’s chairman, Sen. Carl Levin (D., Mich.) said misconduct by contractors in Afghanistan undermines U.S. efforts there. The Defense Department and civilian agencies are intent on winning over the Afghan populace to help stabilize the war-ravaged country. “If we are going to win that struggle we need to know that our contractor personnel are adequately screened, supervised, and held accountable, because in the end the Afghan people will hold us responsible for their actions,” said Mr. Levin at a briefing with reporters ahead of a Senate hearing Wednesday on the Paravant contract. The Justice Department indicted two former military trainers working for Paravant in January for their alleged role in a May 2009 shooting in Kabul that left two Afghan civilians dead and another injured. The men were charged with second-degree murder, attempted murder and weapons charges. The men have said they acted in self-defense after a traffic accident. In a statement, Xe said the company’s new management, brought in early last year, “was taking steps to address shortcomings in the Paravant program” at the time of the May 2009 incident. Xe also said that Raytheon and the Defense Department knew that Paravant contractors carried unauthorized weapons, and said they shouldn’t have been doing so without official approval, which was being sought. The two contractors involved in the May shooting “clearly violated clear company policies,” Xe said. Prior to that incident, Senate investigators uncovered a December 2008 shooting that involved a senior Paravant trainer accidentally shooting a colleague during an impromptu practice session of firing assault rifles from moving vehicles. A Paravant executive wrote in a memo after the incident that “everyone on the team showed poor judgment.” There were about 72 trainers on the contract, but it was frequently undermanned, according to committee staffers. The Army was notified of the incident by Raytheon, but didn’t investigate it. The trainers were not authorized to carry weapons. Yet Blackwater contractors had already taken hundreds of AK-47 rifles from a supply intended for use by the Afghan National Police, which was also where the Paravant trainers acquired their assault rifles, according to committee staffers. The company has yet to account for all of the weapons it removed from the depot, they said. 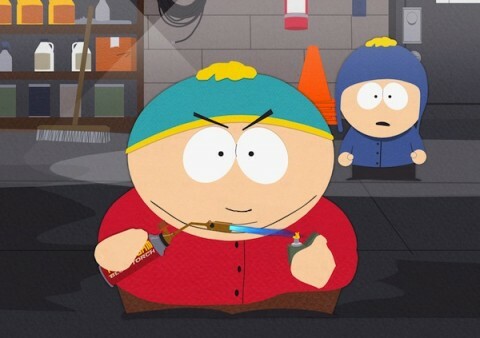 In September 2008, more than 200 assault rifles guns were signed out to “Eric Cartman,” which is the name of a character on the animated television show “South Park.” The company said it had no contractors by that name, according to committee staffers. Raytheon declined to comment ahead of the hearing. According to the committee, the Paravant subcontract was valued at about $20 million over two years as part of Raytheon’s approximately $11 billion U.S. Army training contract that stretches over 10 years. Raytheon replaced Paravant with MPRI, a unit of L-3 Communications Holdings Inc., last year. A spokesman for the U.S. Army office overseeing the training program declined to comment ahead of the hearing. Mr. Levin was especially critical of Blackwater, who he said “misrepresented the facts” during the committee’s investigation and who he accused of operating with “carelessness and recklessness” in Afghanistan. Raytheon and Xe executives are expected to appear as witnesses at Wednesday’s hearing. he Army broke federal procurement rules in 2004, when two commanding generals improperly directed a contracting officer to pay millions of dollars in fees to KBR Inc., according to a report released on Monday by the Defense Department inspector general. Under the Federal Acquisition Regulation, the Army Sustainment Command should have withheld 15 percent of its payments to KBR under a cost-reimbursement task order through the massive Logistics Civil Augmentation Program III, because terms and price had not been finalized. But when a contracting officer tried to withhold the funds, she was overruled by Army leaders who said KBR warned the move could hurt battlefield operations. In its written response, the Army disagreed with many of the report’s conclusions, noting that the service had legal authority to suspend the withholding of funds and that top officials, including the assistant Army secretary, agreed with the decision. “The review also fails to recognize that LOGCAP III is the contingency contract for use by the Army during times of crisis to ensure continuation of essential services,” said Teresa Gerton, the Army’s acting executive deputy to the commanding general. KBR officials said they still are reviewing the report and aren’t in a position to comment specifically. Many of the key findings outlined in the report, which was requested by the Senate Armed Services Committee, are not new. But the report does shed light on the timeline of events leading up to the controversial payments to Houston-based KBR, the largest contractor in Iraq. The Army Sustainment Command awarded the 10-year sole-source LOGCAP III contract in December 2001. KBR was responsible for providing support services such as fuel, food, water and shelter to troops. The firm still operates exclusively in Iraq under the LOGCAP contract, although the Army is planning to compete the work among three firms. The service already has awarded task orders under the revamped LOGCAP IV contract for Kuwait and Afghanistan. During the initial years of the Iraq war, the Army depended almost exclusively on the former Halliburton subsidiary to take care of troops in theater. And to meet urgent operational needs the Army frequently authorized KBR to begin work before individual task orders were set in stone. Although “undefinitized” task orders allow contractors to begin work earlier, investigators said they carry major risks to the government. To reduce those risks, the FAR mandates that no more than 85 percent of fees can be paid to a contractor on a reimbursement contract until the terms are finalized. It was not until February 2004 — more than three years after awarding the contract — that the Army discovered it had failed to comply with the 15 percent rule. After some initial delays, the contracting officer moved to correct the mistake and withhold future funds. KBR opposed the decision and lobbied the Army to reverse it, saying it would cost the company $60 million per month, the IG report said. While officials at the Defense Contract Audit Agency and the Defense Contract Management Agency dismissed KBR’s claims of financial hardship, the Army apparently took the company’s threats seriously. ASC leadership began expressing concern that imposing the clause “could seriously jeopardize battlefield operations,” the report said. After postponing enforcement of the clause for several months in 2004, the Army eventually asked the director of defense procurement and acquisition policy to grant a waiver that would allow them to reimburse KBR for all allowable costs. But the request lacked key information, such as proof that the Army had considered alternatives in obtaining the LOGCAP III services, the report said. Nonetheless the waiver was granted in February 2005. The IG also found there was not enough evidence to prove that the Army reassigned Charles Smith, the former chief of the Field Support Contracting Division for the then-Army Field Support Command, because he supported the 15 percent hold. Smith told a congressional panel in 2008 that he was verbally attacked by then-Brig. Gen. Jerome Johnson, the head of the Army Sustainment Command who later relieved Smith of his duties, at KBR’s offices in June 2004. Smith said he was then told to draft a letter to KBR that would not implement the 15 percent hold. But the IG said it appeared that the Army wanted to go in a new direction with the LOGCAP contract and that the 15 percent withholding dispute likely was not a primary factor in his reassignment. Senator Patrick Leahy (D-VT) and Congressman David Price (D-NC) have just announced a new bill to ensure accountability under U.S. law for American contractors and employees working abroad. One might think, given the rush in recent years by various members of Congress to grandstand on this issue, that this is just more of the same. Industry trade groups have long claimed that private contractors operate under a myriad of international and national laws, rules, directives and regulations. That is true. But one has only to look at the most recent Congressional Research Service report on legal issues affecting private military contractors in Iraq and Afghanistan to see that there is still much ambiguity that needs to be clarified. The bill’s co-sponsors alone mean that the bill will be worth examination. Rep. Price has long been one of the leading members of the House on this issue. He is known for a careful, dispassionate, non-polemical approach. Sen. Leahy is better known for his long and admirable work on banning antipersonnel landmines, as well as his work on judicial issues, as Chairman of the Senate Judiciary Committee. But he too is known for his painstaking, and non-sensationalistic approach. The proposed legislation allows the government to prosecute government contractors and employees for certain serious crimes. The legislation expands on the Military Extraterritorial Jurisdiction Act (MEJA), which provides similar criminal jurisdiction over Department of Defense employees and contractors but does not clearly apply to U.S. contractors working overseas for other federal agencies, such as the Department of State. Direct the Justice Department to create new investigative units to investigate, arrest and prosecute contractors and employees who commit serious crimes. Allow the Attorney General to authorize federal agents to arrest alleged offenders outside of the United States, if there is probable cause that an employee or contractor has committed a crime. Require the Attorney General to report annually to Congress the number of offenses received, investigated and prosecuted under the statute; the number, location, and deployments of the newly created investigative units; and any changes needed in the law to make it more effective. Currently, the Domestic Security Section of the Department of Justice Criminal Division provides preliminary liaison with the Defense Department and other federal entities and to designate the appropriate U.S. Attorney’s Office to handle a case. But given the December 2009 opinion by Judge Urbina throwing our charges against five Blackwater contractors because of the way the Justice department handled the case it seems clear the Justice Department needs help. It is also worth noting that currently the jurisdiction of MEJA for contractors working for a department other than Defense is uncertain. The decision by Judge Urbina meant that the defendants’ argument that MEJA didn’t apply to them as contractors working for the State Department in support of its mission never reached trial. One irony is that back in October 2007 the House approved a bill introduced by Congressman Price which would ensure that the U.S. government has the legal authority to prosecute crimes committed by U.S. contractor personnel working in war zones. Defense Department contractors were already covered under U.S. law, but contractors who worked for the State Department and other agencies, were not liable for criminal activity under current law. Price’s bill extended the jurisdiction of MEJA to cover all contractors working for the government in a war zone. Price’s bill also was supposed to ensure that the Administration has the tools it needs to investigate and prosecute allegations of abuse. The fact that two years later he is co-sponsoring another bill that, in part, has the same requirements as his previous bill shows how difficult it is to achieve meaningful governmental action in this area.